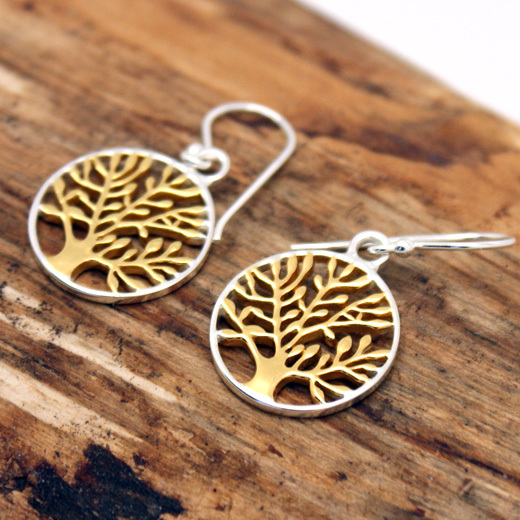 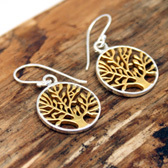 A stylish pair of silver and gold tree of life earrings from RP Designs. 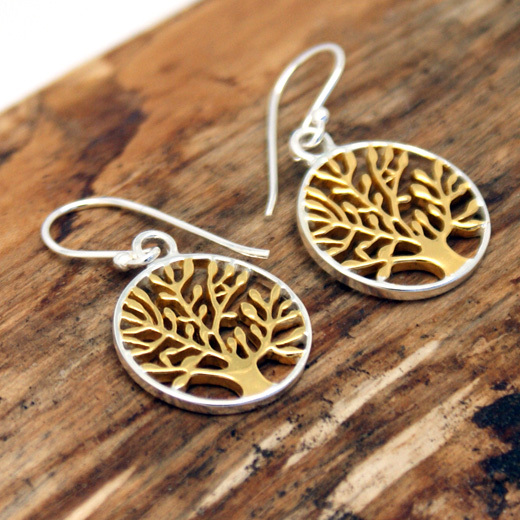 These well made earrings have a finely detailed gold plated tree of life encased in a round sterling silver circle. 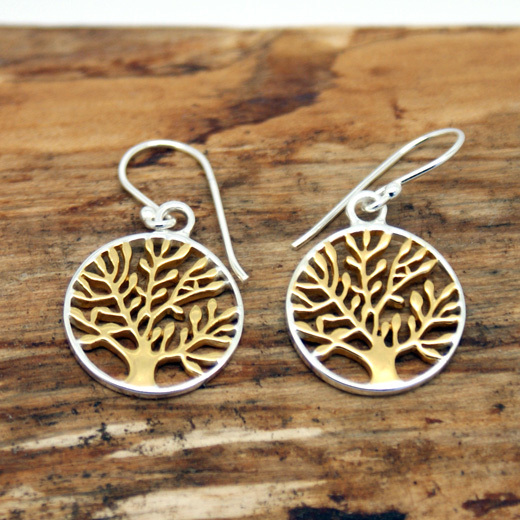 The earrings have classic hook fittings that are for pierced ears only. 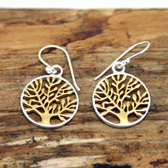 The tree of life represents the strength and unity of the family bond. 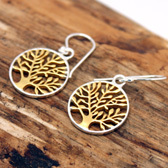 A timeless piece of jewellery, they are very pretty and will enhance any outfit and look equally elegant with evening wear.